Summer Fun ~ A Bucket List! Last year I saw tons of fun summer bucket lists being pinned on Pinterest. I thought it was a fantastic idea, and I considered printing one and check marking our way through some summer fun. But there was a problem. Even though there were gobs of great ideas, the one-size-fits-all lists didn’t match my family. This year the summer bucket lists have started popping up all over the web; but, again, I needed something that could be customized for my crew. So here it is–a bucket list you can type on. You create a unique fun list for your family by choosing 25 super summer activities, projects, and places to go! 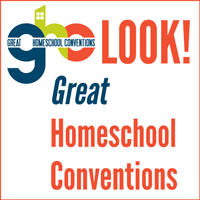 In case you need ideas for your list, check out these 100 ideas compiled by the fabulous moms on the Homeschool Share Message Boards. 1. Make homemade ice cream and eat it for dinner! 2. Have a water balloon fight! 3. Pick wildflowers and give the bouquet away to a neighbor, grandparent, or someone else who needs some cheer! 4. Run through the sprinkler. 5. Go berry picking and make homemade jam. 8. Construct picture props like mustaches, hats, etc. and take silly photos. 9. Plant a sunflower house and Read Eve Bunting’s Sunflower House. 10. Bake cookies in a solar oven. 11. Find some smooth rocks and paint them as insects or people or create a pet rock. 13. Play at the park. 14. Go camping in your driveway or back yard. 16. Ride a carousel or a merry-go-round. 17. Freeze some chocolate-dipped bananas. 18. Plan a movie night! 19. Have a teddy bear picnic! Invite friends and read The Teddy Bears’ Picnic. 20. Ride a horse, even if it’s just a homemade stick horse. 21. Make some summer funny faces. 22. Catch a caterpillar and keep it until it turns into a butterfly. 23. Set up a lemonade stand; donate profits to a charity. 24. Catch a raindrop in your mouth. 26. Stay up late and go star gazing. Look for shooting stars! 27. Serve strawberry shortcake for breakfast! 28. Have a family game night. 29. Invite another family to your house and host a water gun fight! 30. Visit a local creek and catch crawdads. Read Crawdad Creek together. 31. After a good rain, go mud-puddle splashing! 33. Paint with ice cubes. 34. Have a picnic in your backyard. 35. Concoct some homemade popsicles! 37. Create a scavenger hunt for your kids, or let them create one for you! 38. Roast hotdogs and S’mores over a fire. 39. Have a Family Talent Show night! 41. Build a butterfly feeder. 42. Make frozen treasures and let your kids excavate them! 43. Craft some wind chimes. 45. Make homemade sidewalk chalk. 46. Go to a small airport and watch the planes take off and land. 47. Make sun tea punch. 49. Build a balloon powered car. 50. Lie on your back and watch the clouds go by, looking for animal shapes. 51. Roll down a hill! 52. Bake a fruit pizza, and eat it for dinner! 53. Go to the zoo. 55. Craft a garden stepping stone. 56. Go on a hike and look for animal tracks. 57. Build a worm farm. 59. Make paper beads for stringing bracelets and necklaces. 60. Construct an obstacle course in the backyard. 62. Plan a special day away to state park or museum. 63. Have a wet sponge fight! 64. Make a rain gauge to measure the rainfall. 66. Drink root beer floats. 67. Try a Kids Who Think challenge. 68. Write a letter to a friend or grandparent. 69. Visit a new festival. 70. Have a build your own banana split night! 71. Offer to plant flowers at a nursing home or church. 72. Make fireworks in a jar. 73. Blow up some fizzy explosion bags! 75. Wash the car or the dog (or both!). 76. Take a family bike ride. 77. Play games with Glow Sticks! 78. Plan a one day road trip! 80. Create ice sculptures with balloons. 82. Have a puppet show with homemade puppets. 83. Make a boat and sail it in your tub, in a swimming pool, in a creek, or at a pond. 85. Dance in the rain! 86. Go to an outdoor play or concert. 87. Craft some friendship bracelets. 88. On a rainy day, construct a marble maze. 89. Make homemade Lemon Shake Ups. 90. Craft a sun catcher. 91. Go to the movies! 93. Spend a day at the fair. 94. Make a firefly jar! (So cool!) Read When Lightning Comes in a Jar. 95. Try to read 100 books (every reader in the house can contribute!). 97. Visit a local Farmer’s Market and try something new. 99. Construct a tin foil river! 100. Go out for a frozen treat! Read Ice Cream: The Full Scoop. You can find even more ideas and printables at iHomeschool Network’s Summer Bucket List! I love this. We have already done many things for the summer. Making memories is what its all about! love the list! Pinned it =0)annndddd we are actually going to do some of these! I also have a summer bucket list with linky, feel free to drop by and add your post! Thank you for linking up to the Summer Bucket List Party! I absolutely love that you made a list that works for your family and shared your printable with us. It’s so cute! Your links are super helpful too. Have a great summer! Fun, I do something similar! Love it. Want to do fun educational stuff too. I’ve been surfing online more than 3 hours today, yet I never found any interesting article like yours Document Moved. It is pretty worth enough for me. Personally, if all site owners and bloggers made good content as you did, the web will be a lot more useful than ever before. I LOVE this!! Definitely bookmarking this. We’re homeschooling through the summer. Our dd loves her time4learning curriculum so much, she actually won’t mind it at all. But I’d love to do some fun hands on stuff with her and her friends. These are great. Thanks for sharing. Such a cute printable! And great compilation of ideas too! Pingback: 10 fun printables for summer learning that's fun!